IF THERE IS GOING TO BE A FIGHT, YOU WANT MIKE IN YOUR CORNER. In 1989 Michael C. (Mike) Ginart, Jr. and Richard A. (Rick) Tonry founded the Law Firm of Tonry and Ginart. Five years later Kim Cooper Jones joined the firm which in time became known as Tonry, Ginart and Jones. Upon Rick’s passing in 2012 and Kim’s election to Judge, Division “C” of the 34th Judicial District Court, the successor firm of the Law Offices of Michael C. Ginart, Jr. & Associates was formed. Since 1989 Mike has been principally involved in personal injury trial work, including car accidents, 18 wheeler accidents, premise litigation, and medical malpractice. Additionally, he has successfully handled thousands of criminal matters from murder trials to DWI litigation. He has obtained a number of jury verdicts in excess of $1,000,000 and has settled individual claims for as much as $60,000,000. When Hurricane Katrina struck, Mike and his partners led the way in charging reduced attorney’s fees for the handling of property damage cases of those damaged by Katrina’s wind and inundated by her flood waters. In March of 2006 FEMA decided to evict those St. Bernard Parish residents and workers who were living on the Scotia Prince cruise ship, while attempting to rebuild homes and Parish, St. Bernard Parish President, Junior Rodriguez, asked Mike to file suit in Federal Court to stop FEMA from evicting those residents until alternative housing was found for each and every person. Mike took on that request “pro bono” during Mardi Gras of 2006. Mike was successful in having FEMA find alternative housing for each and every person who had been staying on that cruise ship before it was allowed to leave St. Bernard Parish. When the St. Bernard Parish School Board needed an attorney to help handle its Katrina claims against its insurers, Mike Ginart was hired to help. When St. Bernard Parish Government needed representation against their insurers for damages caused by Katrina, Mike Ginart got the call. When St. Bernard Parish needed an attorney to handle its claims against the Corp of Engineers for damages arising out of Hurricane Katrina and the failure of the Corp to maintain the MRGO, Mike Ginart and his law partner, Rick Tonry got the call. 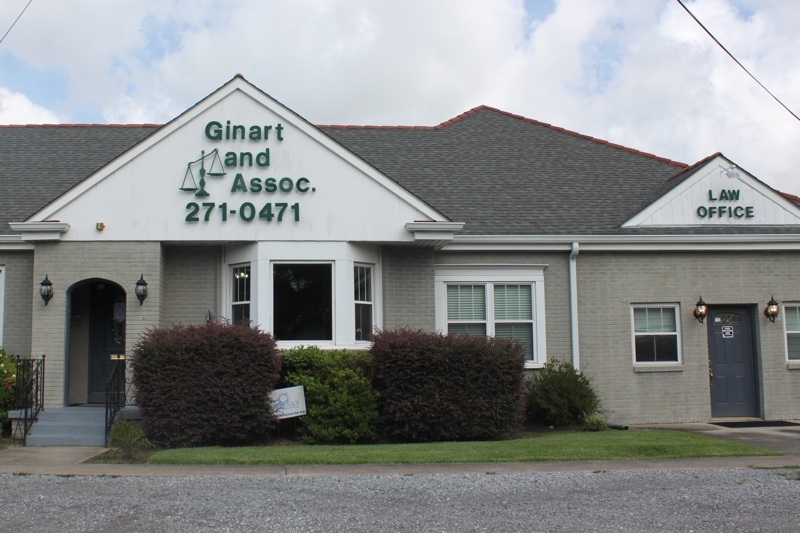 Whether you have been wrongly accused, made a mistake or fell on hard times, Mike Ginart will be there for you. The Law Offices of Michael C. Ginart, Jr. & Associates is the firm you want in your corner when your life, liberty and wellbeing is threatened.